Students in VCE Studio Arts classes have experienced the latest exhibition to be showcased at Art Space Wodonga today, the group of VCE students are currently in the process of developing their own artistic style, producing a folio of their own artwork for assessment this year. 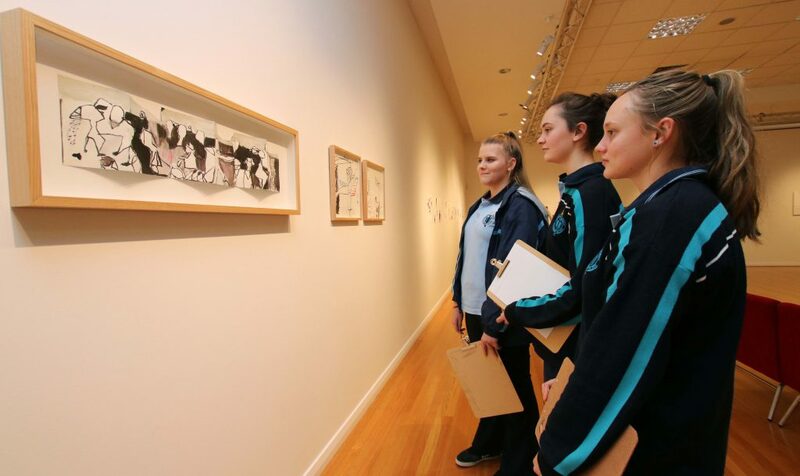 In their latest exhibition showcasing work by Geelong artist Amber Stokie which consisted of a series of artworks combining media of performance photography, drawing and collage the students gained an understanding of how various mediums can be used in their own work. 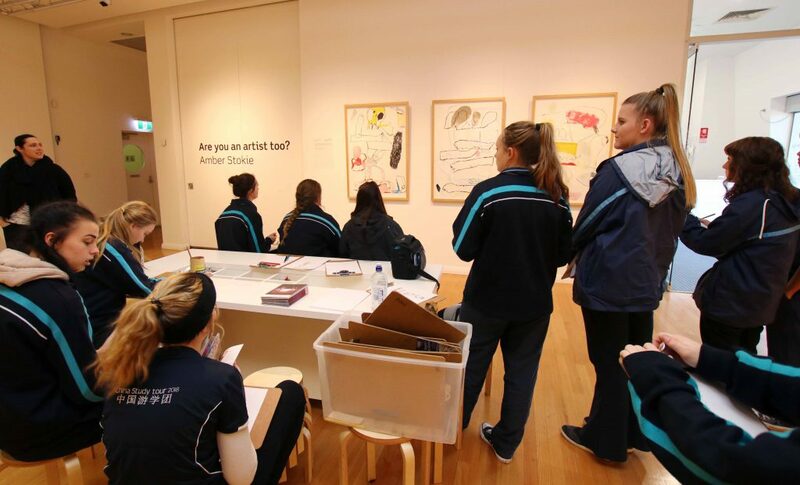 The group of were able to explore the collection of work on display and were encouraged to note what they had learnt from each piece as they learn more about the artist’s style. This event has provided students will opportunity to access an experience that otherwise would only be accessible in larger cities. The Exhibition is on display in Art Space Wodonga until June 2.